CENTURY 21 Core Partners is your best resource for locating and purchasing Red Lion School District real estate. We feature a large amount of listings of all types of homes within the borough and surrounding areas, including single- and multi-family dwellings, farms, condos, and mobile and modular homes. You’ll be served by an agency that upholds the long Century 21® tradition of delivering superior customer service. The Century 21® brand received the highest numerical score from first-time and repeat home buyers in the J.D. Power 2014 Home Buyer/Seller Study. The Red Lion Area School District sits just to the southeast of York, wedged between I-83 and the Susquehanna River. Like so many areas in and around York, the area served by Red Lion Area School District includes wonderful family amenities, entertainment and convenience options. See below for just a few of the establishments you enjoy ready access to when you live in the Red Lion Area School District. Fulton Bank and Northwest Bank are the closest options when you live in the Red Lion Area School District. If you’re looking for larger chains, you can find PNC, Wells Fargo and Santander just a short drive away. More interested in a credit union? Try White Rose Credit Union or First Capital Federal Credit Union within the Red Lion Area School District. If you’re looking for larger stores to do the bulk of your shopping, the biggest players in the area are Giant Food Stores and Weis Markets. At either, you can find almost anything you’ll need for a week’s worth of at-home eating. You can also find a range of small specialty shops, like meat markets, as well as farmer’s markets throughout the area. Shopping centers like Arlington Plaza and Sherwood Plaza are located within or adjacent to the Red Lion Area School District. For a larger mall experience, venture to York where you’ll find York Town Center, York Galleria and many other options. Almost any type of shopping is close by or a short drive away when you live in the Red Lion Area School District. You can find almost any type of food without even leaving the Red Lion Area School District’s footprint. Find Italian food at Musso’s, Chinese at Forbidden City and comfort food at the Collinsville Drive-In. Of course, York and its many food options are just a drive of a few minutes away, too. There’s no shortage of outdoor space and recreation opportunities in the Red Lion Area School District. Significant parks include Fitz Park, Lions Park and Fairmount Park — the latter of which is right in the center of Red Lion. Fairmount Park is adjacent to Red Lion High School and includes splash pads for summertime fun. Red Lion is a small town, but it hosts events through the year — including a Christmastime Festival of Lights, a New Year’s Eve Celebration and a model railroad open house. You’ll also find a Ladies Day Out event as well as other events for special interest groups. Originally settled in 1852, the York County, PA borough of Red Lion was named after a local pub, the Red Lion Tavern. During the early years of its existence, Red Lion was a main stop along the Maryland and Pennsylvania road that ran between York County and Baltimore, MD. The town was also noted for cigar manufacturing. At one point, more cigars were produced in Red Lion than anywhere else in the world. Today, Red Lion has a population of approximately 6,400 residents living in an area covering 1.3 square miles. If you’re thinking of relocating to Red Lion but would like a bit of open space, the land to the south of the borough is largely rural, offering ample opportunities for country or farm living. 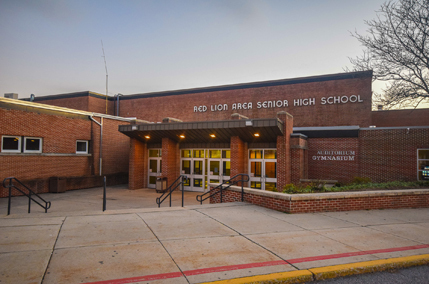 The Red Lion Area School District serves the borough and surrounding communities — it consists of seven elementary schools, a middle school and a high school. Today, 89 percent of home buyers use the Internet to help them find their dream home. The CENTURY 21 Core Partners website can be an invaluable tool when you’re searching for Red Lion School District homes for sale. Use it to take a virtual tour so you can experience what it would be like to live in a home that interests you. You can also view high quality photos and get access to essential property details. Download our mobile app so you can receive immediate information regarding new listings and changes in property status while you’re on the go. Your choice of real estate agent is a crucial step in your home buying process. CENTURY 21 Core Partners agents are well-trained and professional, and we’ll always act in your best interests. Your agent can help you identify beautiful Red Lion, PA homes for sale that meet your family’s living requirements and also fit your price range. You can count on us to handle all of the details that are part of any real estate transaction, from the time you make your initial offer until the final signature at closing. We’ll make the entire process as stress-free as possible. If you’re ready to make the move to Red Lion, you can get the process started right now. For more information about our current Red Lion School District real estate listings, call our office at 717-718-0748. To contact us online, submit the convenient contact form and you’ll receive a prompt reply from one our agents.